Sandy White's Ant Attack for the ZX Spectrum was a glorious, technically groundbreaking, evocative, and excellently designed game that pioneered 3D graphics on the machine. What's more, saving the boy or girl from the giant ants remains tense and immensely enjoyable to this day, and the game still comes with some amazing cover art. 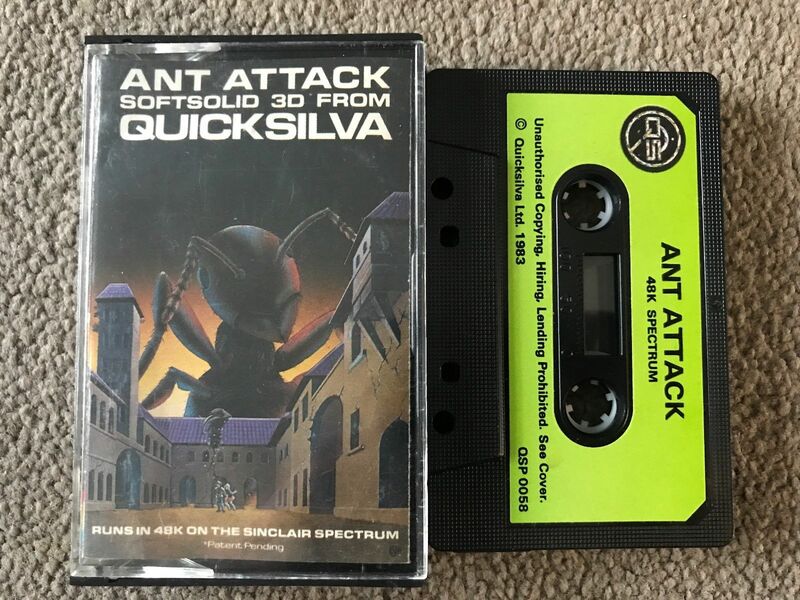 So, do find out more here, and then do consider bidding on an Ant Attack (ZX Spectrum) tape on eBay.